Hopefully, our new voting platform will make it easier for people to vote. Here’s a quick run down of the steps. 2. Start by clicking on a group and selecting a category. 3. 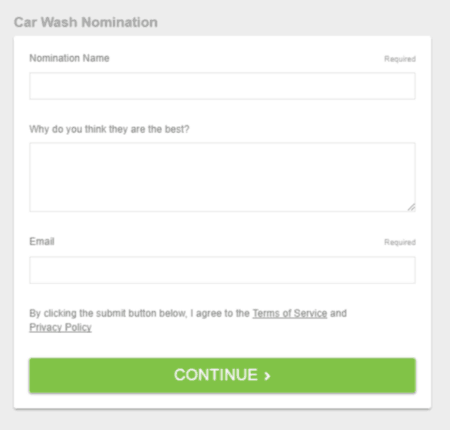 When you click a category, you will the go to the nomination form. You will need to enter your email address the first time in order to register. Once you have registered, this step is only needed if you have logged out or are on a new device. 4. Once you filled in the information (why you think they are the best is optional), click on the green CONTINUE button. 5. 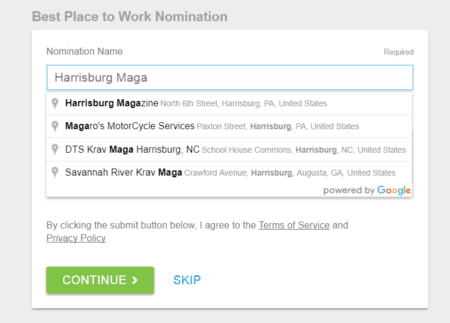 When you fill in the nomination name, you may notice several options pop up because it has Google integration. If you see your nominee, go ahead and click on it. If not, you can continue to write in your choice. 6. You will jump the registration page. You are only required to fill this out the first time you vote. 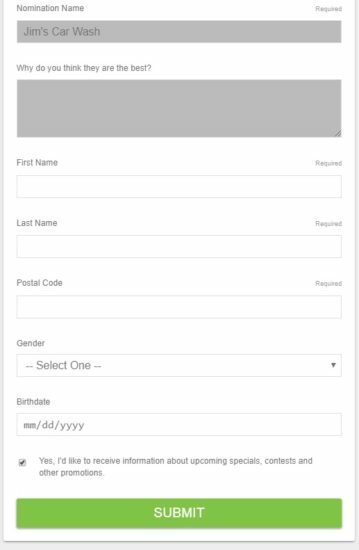 It asks you for your name, zip code, gender (optional) and birthdate. Once you are finished, click on the green “Submit” button. 7. Once you’ve registered, you’ll get a confirmation notice stating that you nomination was submitted. The system will automatically take you to the next category on the list. To navigate to different groups, click on the three lines in the upper right hand corner. If you want to get to a different category in the group you’re in, use the horizontal menu bar above the nomination form. That’s it! You can vote once a day (per category). The system should keep you logged in, but if you get logged out, simply re-enter your email address. You will get a link that you can use to log back in. Next post: Why isn’t my Business Listed in the Google Results for Best of the Valley?